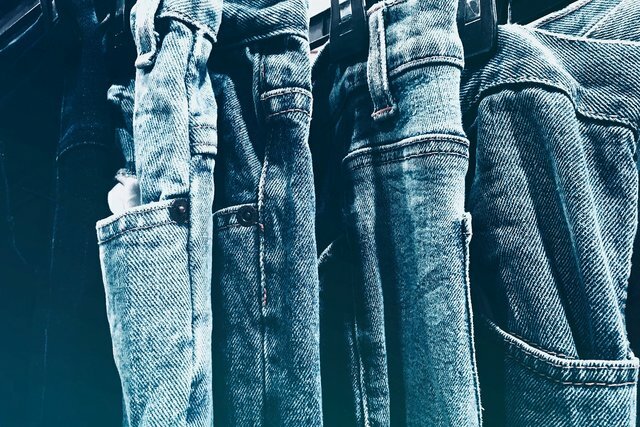 There are tons of jeans out there and you’re probably confused and lost about the different types of jeans you can buy. From skinny jeans to boyfriend jeans and even mum jeans, which one works the best for you? How should you style them so they flatter your figure the best? You should start by knowing these different types of jeans well. There are different styles, cuttings and designs that are all good in their own way. 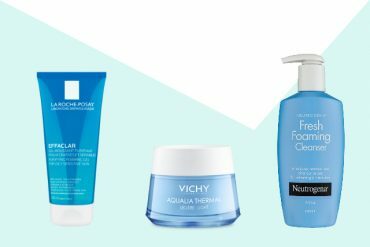 Find the one that’s best for you by starting with the cut! 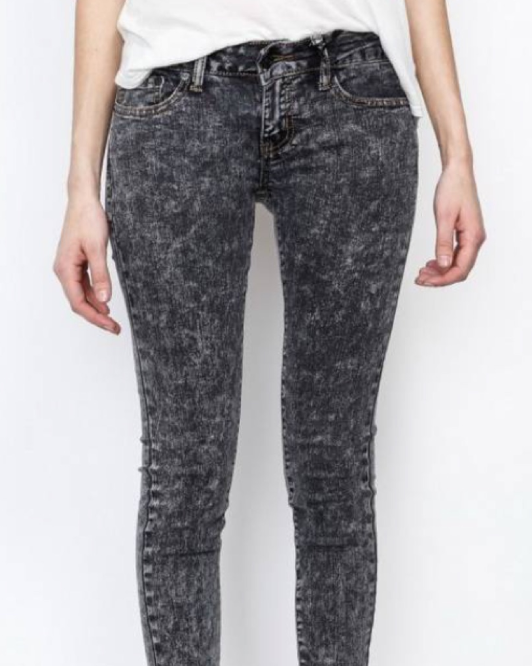 Skinny jeans fit snugly around the waist to the ankles and also tend to give the impression of longer and slimmer legs. They’re also one of the types of jeans most commonly worn. If you aren’t exactly ‘skinny’ but still want to look and feel your best in skinny jeans, here are some styling tips you can try! 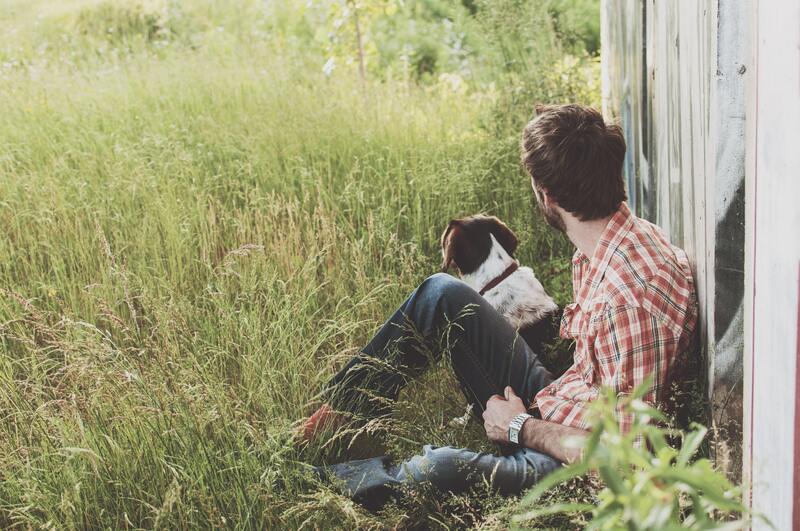 Wear boots over your skinny jeans to give the illusion of thinner calves. Darker colours will also have a slimming effect, while stretchier jeans help maximise comfort. Prior to purchasing the jeans, ensure they fit well! 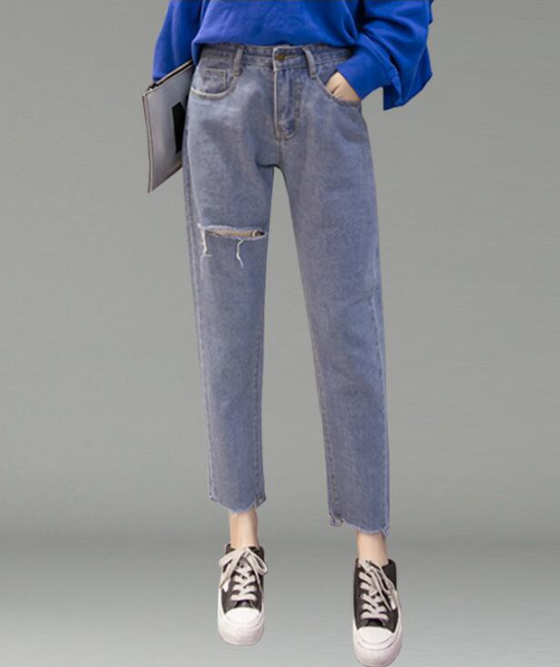 Unlike skinny jeans (quite the opposite, in fact), boyfriend jeans are slouchy and baggy. They’re often loose fitting all the way to the ankles and definitely more comfortable than their skinnier counterparts. Styling them with rolled cuffs reduces the bagginess and gives more shape, which will flatter your figure. 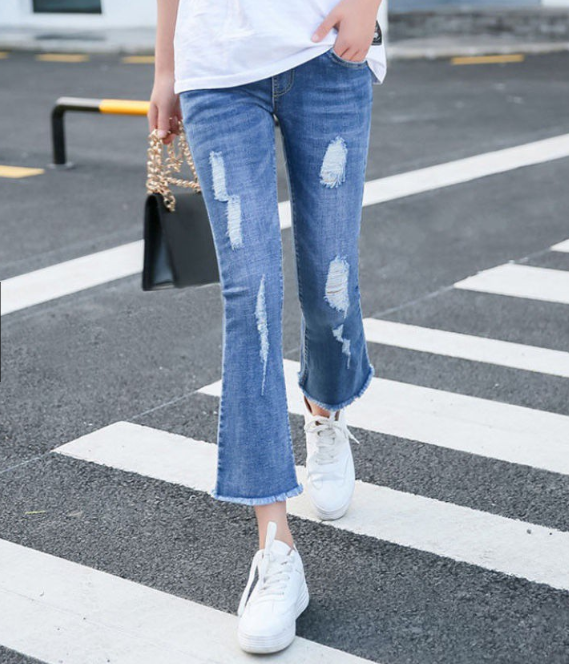 These jeans go well with tight fitted or cropped tops to complement the looseness and when paired with sneakers, they’ll give off a sporty vibe. Like what their name suggests, they’re.. regular. Regular fit jeans are a type of jeans equally fitted from the waist to the ankles. As the midpoint between skinny jeans and boyfriend jeans, they’re neither too loose nor tight! The comfortable and fashionable look they create makes them the best go-to jeans for a casual day out or even dress down days. Top them off with a basic tee or slightly dressy top and you’re good to go! 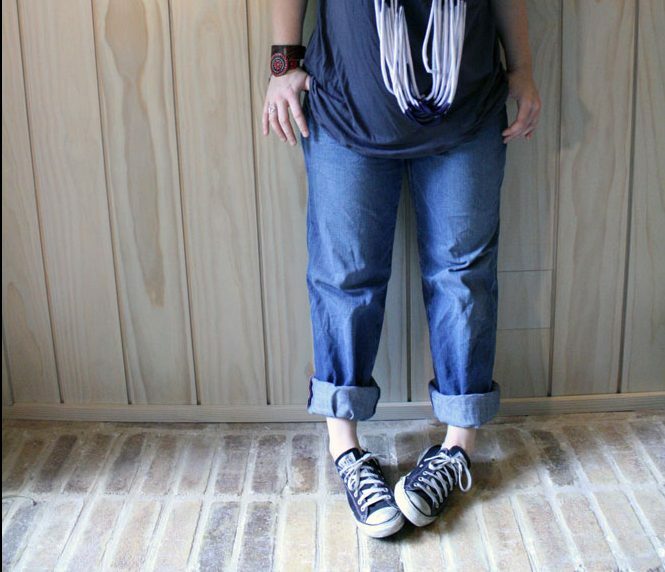 Though similar, straight leg jeans should not be confused for regular fit jeans. They are often tighter in the thigh area than below the knee. However, they can be styled the same way as regular fit jeans! This type of jeans are tight till the knees and flared from the knee down. Although slightly harder to pull off, bell bottom jeans also make you look extremely fashionable if worn right. They can be styled with oversized sweaters and sheer blouses or even long cardigans. A combination of jeans and leggings, jeggings have more stretch than regular denim, but are thicker than regular leggings — giving you the best of both worlds. Style them with any top, or even longer shirts or short dresses to prevent accidental exposure. 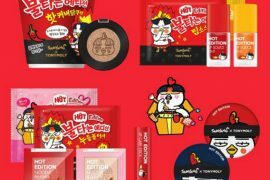 It’s perfect for Singapore’s hot and humid weather too, as the material is of the perfect thickness. While they come in designs that look similar to denim, you could also opt for brighter colours or flashy prints! Mom jeans are known for their high waist and low back pockets. It’ll go well with a woolen cardigan, or even blazer! If you’re looking for a white washed look, pair white jeans with a white top! Not exactly a fan of the baggy look? You could also try getting the jeans tapered so they’ll be more fitting! 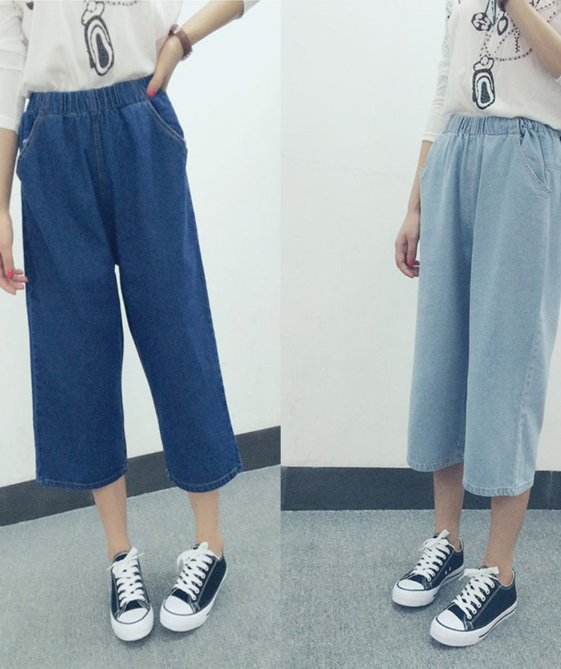 Culotte jeans are wide from the waist down, unlike bell bottoms that are only wide from the knee down. Like other types of jeans, they go well with almost every outfit! Style them with a colourful leather jacket, a long flowy coat or even blazers if you’re going for a less casual look. Besides the various cuts mentioned, there are types of jeans with little details that make regular jeans look less boring. Paperbag waist jeans are as comfortable as they are flattering. Although the word ‘paperbag’ makes them sound less attractive, you’ll be surprised when you see how pretty these types of jeans look! These jeans have ribbons along the waistline which you can tighten or loosen, and they give off a more demure vibe. Tuck your longer tops into the waistband or wear crop tops to show off your paperbag waist jeans! Not only are they fashionable, they’ll also be comfortable for your little ones if you want to pull off a twinning look! Show off that waistline with high waist jeans! 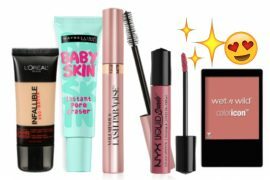 These go well with tops that can be tucked in and will give more shape to your outfit, which in turn makes everything look more flattering! We’d recommend getting high waisted jeans that are tighter around the waist. Not only do they draw attention to your waistline, they’ll also make it appear smaller. 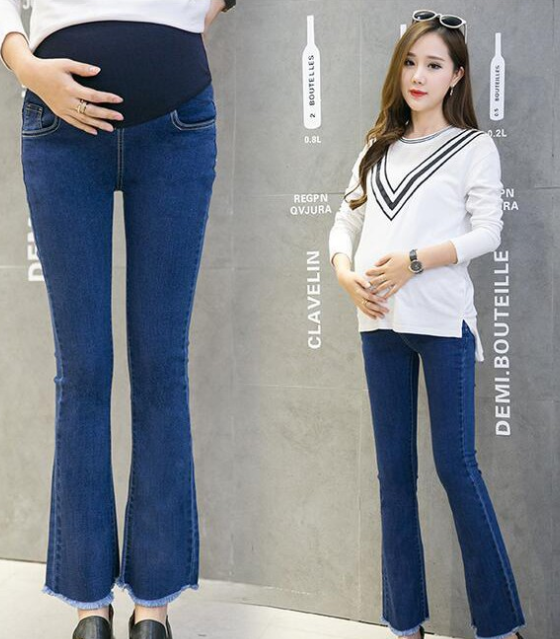 One of the types of jeans specially made for mothers, maternity jeans will grow with your belly. No more having to worry about buying several sizes to cater to your bump! Stay stylish while dressing in comfort! Want something to spice up your closet? Consider getting coloured jeans! These types of jeans will add life to your seemingly mundane black and white outfits. If you’re not so adventurous, try acid wash jeans. They’re not jarringly bright, but are sufficient in adding a little more detail to your outfit. If acid washed or coloured jeans aren’t the types of jeans you would wear, why not try ripped jeans! 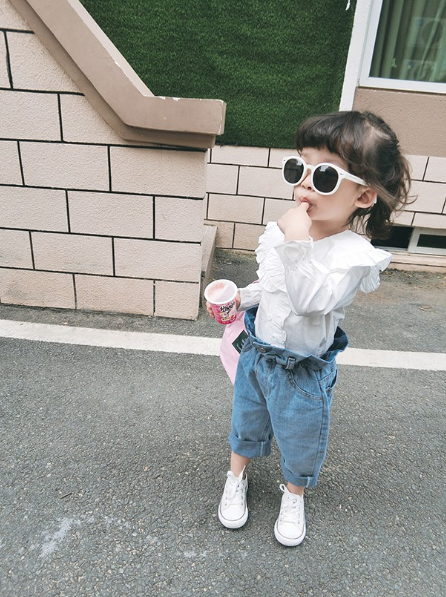 Although they can only be worn casually, ripped jeans show off just the right amount of skin and make wearing jeans in Singapore a little more bearable. Just a little. Fancy just a little bit of detail? Frayed hem jeans are one of the perfect types of jeans for you! The difference is so minimal, it might even go unnoticed. But it’ll still add a little flair to the otherwise regular-looking jeans! This is one of the types of jeans perfect for Singapore’s weather. Just like their name, ¾ jeans end at the three quarter mark, in between your knees and ankles. One of the not-so-common types of jeans, lace up jeans are laced up from the bottom. They’re great for making a fashion statement! 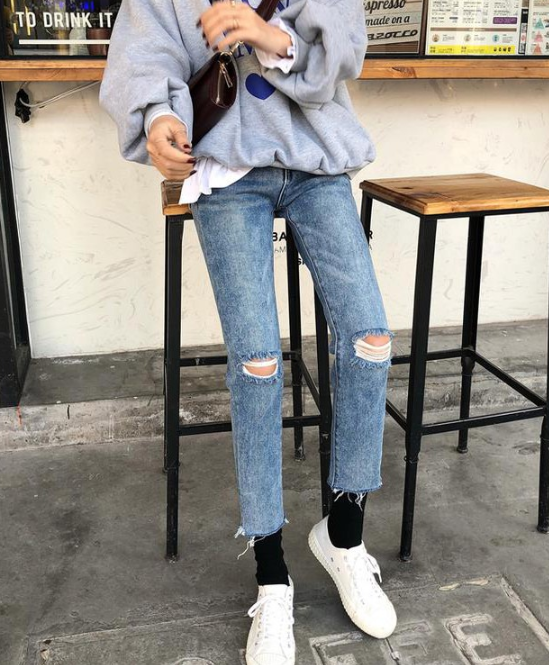 Hopefully this has helped you to be a jean-ius when it comes to jeans 😉 Here are some bags under $10 you could buy to match your brand new jeans, and some Instagrammable places where you can snap your next chic OOTD!